Getting business stakeholder buy-in and maintaining momentum around the long-term benefits of a CRM and data infrastructure project in the face of short-term sales targets have proven the biggest challenges for Audi Australia’s marketing team. 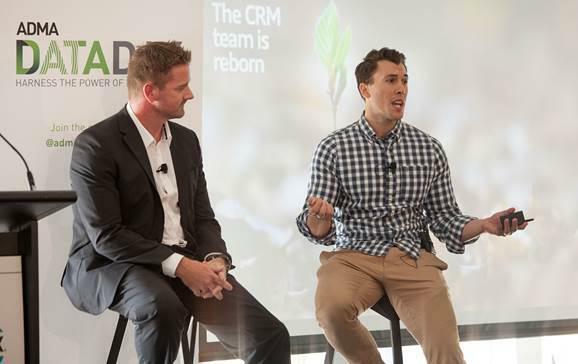 Speaking at ADMA Data Day in Sydney, head of CRM for the automotive brand locally, Josh Wood, and head of customer experience for its digital agency Holler, Vlad Mehakovic, talked attendees through the two-year journey Audi has been on to date to develop a digital and CRM ecosystem. The overall program of work is expected to take at least three years and sees Audi rolling out a range of technologies and capabilities in order to better engage with customers directly. Prior to the CRM function being created at Audi Australia, customer engagement was an adhoc email activity the marketing team did through agencies. Data on customers and the market was also in silos across the business and its dealer network, and teams largely relied on spreadsheets for insights. The objective was to make customer data a piece of infrastructure anyone from Audi, its agency partners and even customers, could access and act on it, Mehakovic said. Wood said he initially needed to get the business from top to bottom to understand CRM and engaging with customers wasn’t a one-person exercise, but required a whole-of-business commitment. “People may look at as system, or see CRM as a fluffy thing that’s nice, but communicating that it’s providing that premium experience for Audi customers across all touchpoints, whether that’s online our dealerships, social or other channels… With that you’re exposed to all parts of the business,” he said. But having been a sales-led organisation for its first eight years in Australia, Audi needed to adjust its mindset to put an emphasis on customer loyalty and retention. The first step to creating a customer experience driven approach was to better understand who Audi’s local customers are. Traditionally, these insights had been provided by the company’s German headquarters. Mehakovic said it began with quantitative and qualitative research, including a survey of 20,000 vehicles purchasers, as well as ethnographic studies with Audi customers locally to understand the context around their purchasing decisions. From there, Audi came up with five key personas that were used to lynchpin customer-led conversations within business. Twelve months on, these are being reviewed and further insights are being uncovered. They’re also being used to better position product launches, Wood said. These personas uncovered a customer journey map, Mehakovic continued, which in turn identified 10 different contexts within the ownership lifecycle. Audi assigned each a business and customer objective, identified a set of touchpoints in which customers interact with the brand, then established potential programs of work to underpin those channels. Wood said it ended up with 110 programs of work, a list that it’s since worked to prioritise.“This is always meant to be evolving roadmap of development but still aligning to strategy and objectives,” he commented. All of this insight informed what needed to be done from a marketing technology and digital point of view. “Firstly, we get to the experiences we wanted to create, then that facilitated what technology underpins that, the organisation processes, and what do we need to create,” Mehakovic explained. Along the way, it was critical to convince teams within the business locally and globally, as well as the dealer network, that this course of action was the right thing to do. This was particularly important given some of the investment didn’t fit the global technology processes or principles of the wider global organisation, Mehakovic said. One of the ways the local team overcame this was with a simple video explaining why the investments were important, what the customer looked like and the business strategic value the programs could provide, Wood said. Gaining a mutual understanding around data sharing and management was another major hurdle, Wood said. To help, Audi put in place dealer data sharing policies. “We had a terrible platform integration tool in place and it required a lot of work to fix that and the data sources populating our single customer view,” he said. “We had to get support and momentum from the business to continue as we couldn’t do a lot – we couldn’t do much with marketing automation, for example, until our core infrastructure was in place. Presenting on our approach and what we were trying to really helped. What Audi Australia now has is what Mehakovic described as an “enterprise service bus” to fuel customer-led activities, insights and thinking. Underpinning this is various systems, including CRM, ERP, marketing automation and data normalisation tools to ensure that all data about a customer is consistent within that one customer record. The company has also put a set of rules around data and record management, which are used to give access to other systems, such as Audi’s customer portal and analytics. Mehakovic admitted data management was a large and complicated process. The companies used Mulesoft technology to connect various services and sets of data and coordinate data based on the business logic required. “Having a dynamic data dictionary has really helped us out,” he commented. “As new data comes into the system, we have that data dictionary that says the source of data, table name, field, limits on that and any notes. This allows us to look at real-time changes to our enterprise service bus and identify when something has gone wrong, or something has changed. We can stay on top of issues that if we hadn’t, would have blown up down the track. While this long-term investment and program of work has been going on, Wood and his team need to keep stakeholders and the business motivated. To do this, Holler put in a CRM trigger program to demonstrate quick customer wins to the business. Other quick wins included email templates and A/B testing on emails. “One of the hardest things was keeping up that momentum, particularly with sales being driven month by month,” Wood admitted. “Long-term projects like this are very difficult to maintain when people are looking at the monthly numbers. We had to identify the key business values we can deliver relating to that monthly number – lead generation, conversion, optimisation of communications –and that allows us to continue the momentum to build longer-term projects. Having now built the foundations, Audi is working to maximise the returns on the investment. One example Mehakovic shared was Audi Intelligence, a business intelligence dashboard that provides a centralised repository for customer insights for employees, dealers and agencies. Getting the data infrastructure right has also allowed Audi to better utilise marketing automation, perform more A/B testing, see the results of that and make business decisions based on the effectiveness of its communications. Audi is also creating an owned customer-focused channel, MyAudi v1.0, earlier this year, an online portal that can be used for product launches, to provide content and give customers the ability to see their own service data, loyalty program status, and so on. And as more vehicle automation, telematics and other types of data sets emerge, these can also all be integrated into the platform, Wood added.